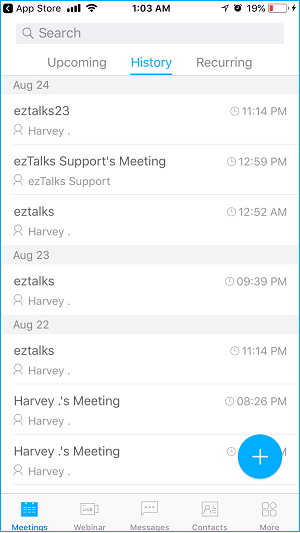 There are different ways to schedule a meeting. You may read this article to get more details about how to schedule a meeting. Normally speaking, the scheduled meetings show on the Upcoming list. 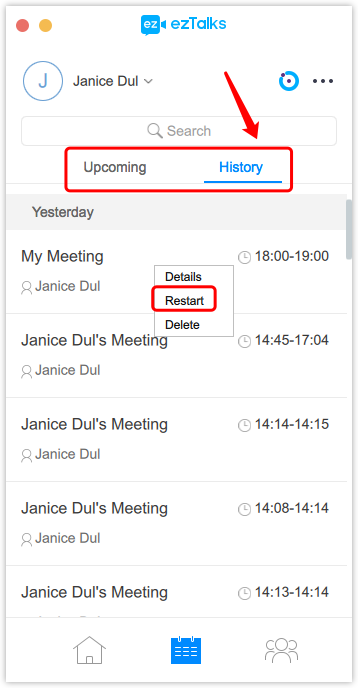 However, if you have clicked on the Start button to test the meeting, it will jump to the History List. And don't worry about that, you can still Restart that meeting and your participants will join it with the same invitation email/link you have already sent to them before.